Mannequins decorated with Tulip® Fashion Art products by Betsey Johnson designer Charlene Pack. 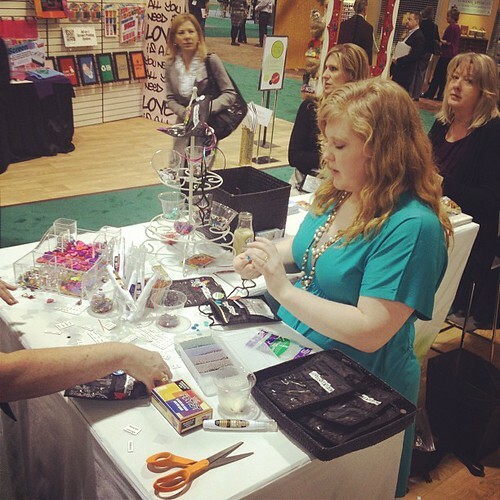 Today was the first day of the 2012 Craft and Hobby Association Tradeshow! We were so, so excited to share our creativity and tradeshow booth with all our friends, customers, buyers and fans! We want to share with you all the exciting action that took place on this first day! It was a whirlwind of activity. Our theme is All you need is...Love, Family, Friends, Fun, and Creativity. Within our booth are all graphics and visual elements that touch on this theme. It was VERY important to us that we really tell a fun and inspiring story with our brands that touched on these points throughout our booth! 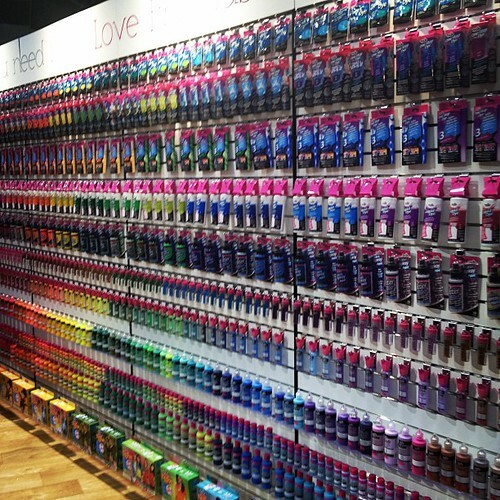 The color connection wall was a visual smorgasbord. 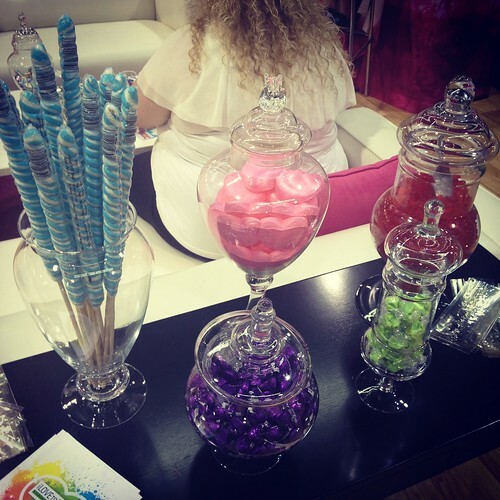 We really worked hard to create a lot of eye candy moments in the booth! Speaking of candy, we also had that in the literal sense too! 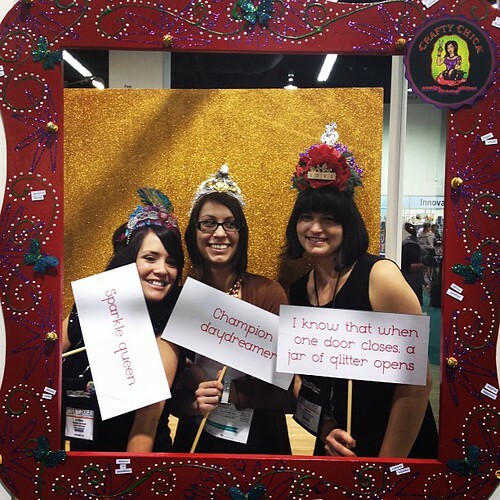 Fun was had by all who stopped by our Crafty Chica photo booth. Look at all the glitter and super cute crowns! 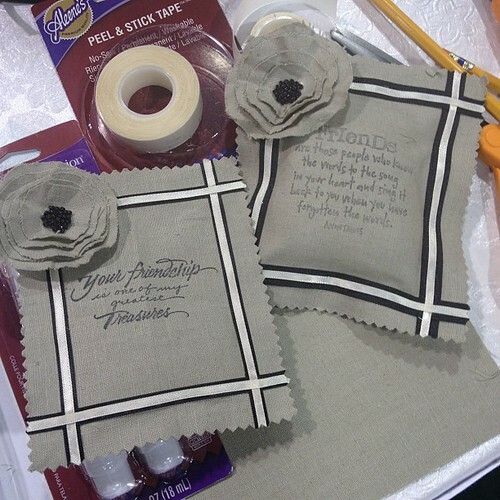 Tiffany Windsor and Heidi Borchers made this pretty lavender sachet with heartwarming friendship quotes using Aleene's adhesives. Attendees and fans got creative with their favorite bloggers in the iLoveToCreate.com Blogger's lounge. Heather Mann of Dollar Store Crafts, Crafterminds, and Décor Hacks was one of our superstar bloggers who joined us today! We'll be back tomorrow with more live updates from the show. More crafty goodness coming your way! Oh my. I need to find one of these in my area immediately! It looks like yall had such a fantastic time. Loving the photobooth!